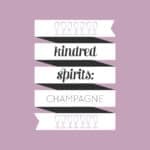 Wine expert Rachel Von Sturmer is back with tips on drinking sparkling wine! 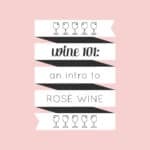 Don’t miss her guides to white wine, red wine and rosé wine. 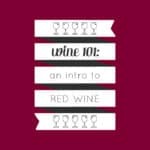 She also teaches a free online wine course! 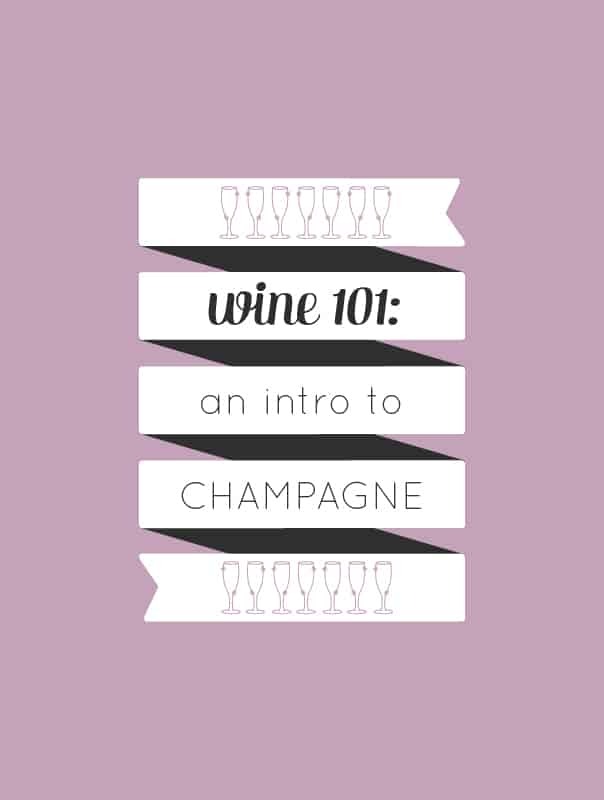 Click through to see the rest of the Wine 101: Intro to Champagne + Sparkling Wine! It is made in a long, multi-step process, which contributes to the hefty price tag. First, it’s made into a low-alcohol still wine and then it is bottled and capped, where it undergoes a second fermentation with a little added yeast and a bit of sugar. The yeast converts the sugar into alcohol, and natural carbon dioxide forms as bubbles. The bottles are are slowly turned bit by bit in a rack until they are upside down in a process called riddling. When the bottles are fully upside down, the spent yeast called ‘lees’ has moved into the neck of the bottle. Next, in a process called disgorgement, the neck of the bottle is frozen, the cap is popped off and the pressure inside the bottle pushes out the spent yeast. More sugar and a bit of wine, called the ‘dosage’ can be added before the bottle is finally sealed and muzzled with a wire cage. To be called Champagne, this sparkling wine must be made from grapes exclusively in the Champagne region of France, which is to the east of Paris. There are three main grapes that go into champagne: the white-skinned chardonnay grape and the red-skinned pinot noir and pinot meunier grapes. An Italian sparkling wine made with the Glera grape, that can range from very dry to sweet. Its second fermentation takes place in stainless steel barrels, which helps preserve the fruity and floral notes from the grapes, and makes it more cost effective. It is the most common substitute for champagne in cocktails. Another Italian sparkling wine, made in the Piemonte region in northwest Italy from the Moscato bianco grape. It is a dessert wine, lightly fizzy, naturally sweet and low in alcohol, with lovely fruity flavour from the Moscato grape. This is also an Italian sparkling white wine made from the Moscato Bianco grape in the Piemonte region. It is similar to Moscato D’Asti but is fully sparkling (‘spumante’ in Italian), with higher alcohol and lower sugar. A Spanish sparkling wine produced using the Traditional Method. It can be white or rosé and it’s traditionally made from the local macabeu, parellada and xarel-lo grapes. Cava can be a great substitute for Champagne, quality is always improving, and a bottle can be had for a fraction of the price. A quality French sparkling wine from outside the Champagne region, known for its creamy texture. It is made using the same method as in Champagne, but is traditionally bottled with a lower carbon dioxide pressure, so there are softer bubbles. Look out for the label to say which French region it comes from, as the grapes used will vary by area. Champagne flutes are designed to be tall, narrow vessels to help retain the carbonation as long as possible, and show off the gorgeous strings of bubbles as they rise up the glass. The trumpet shape also keeps hands away from the bowl to maintain the cold temperature. Chill sparkling wine several hours before using. Always be careful when opening a bottle of champagne, making sure to keep your thumb over the cork as you twist it open. Do it over the sink or outside, away from people and fragile things. Keep glasses nearby to catch any spills when opening. 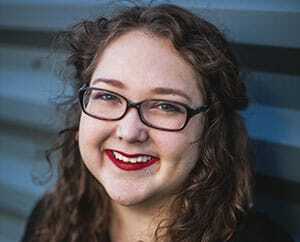 Rachel von Sturmer is a Vancouver-based wine and spirits writer and classically-trained chef. Check out her site for a free email wine course. When she’s not tasting and reviewing wine, she’s channeling her love of food, wine and travel into a guide to British Columbia’s wine country and completing the WSET Diploma. Follow her on Instagram at @rachelvonsturmer.